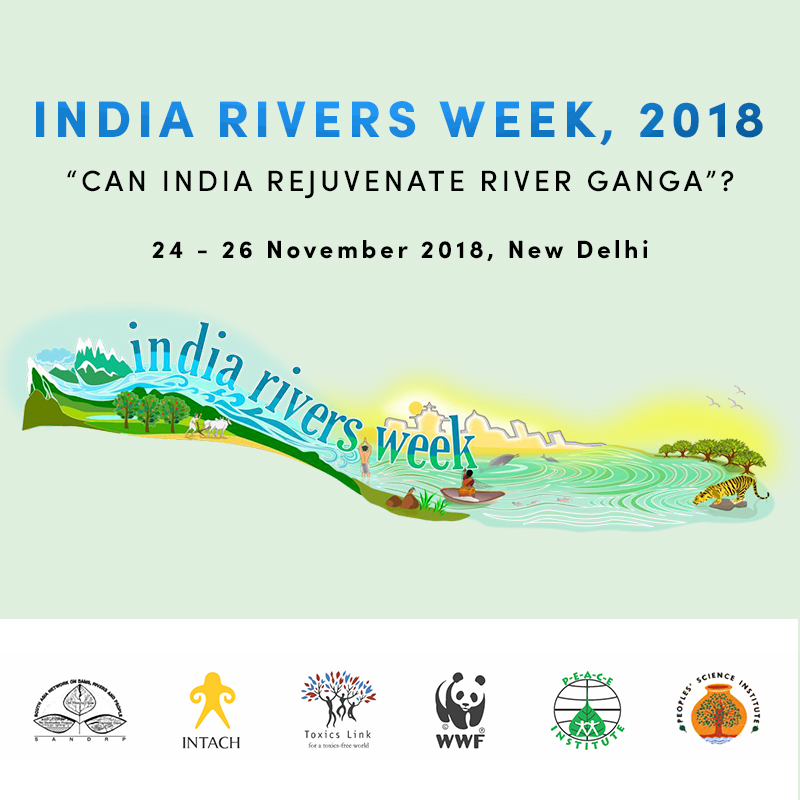 In previous years IRW has focused on general issues related to Indian Rivers and have attempted to foster an understanding of the state of rivers in India and the issues that they face. This year, the focus is on a single river basin; the Ganga. Through the collaborative processes integrated into the India Rivers Week, we hope to take stock of the current progress on the rejuvenation of the Ganga, the appropriateness or effectiveness of the current road map and on developing a plan for the future that needs to be adopted if the Ganga is ever to be restored to its original state. The Ganga was also the subject of Dr G D Agrawal’s devotion, who passed away on November 11 this year after a prolonged fast, which he undertook after the government’s lack of response to his demands. To commemorate his passing, this year’s event has been dedicated to him and a significant part of the proceedings of the first day is devoted to the exploration of ‘aviralta’ in the Ganga basin, a concept that was dear to him and a cause which he championed till the end. The Organizing Committee of IRW has also brought together Dr Ravi Chopra and Sr. Shashi Shekhar to develop and Citizen’s Report on the Ganga Rejuvenation. Parts of this forthcoming report will be presented before the participants and the proceedings of the three days will in turn inform the final report. This citizen’s report is envisaged as a compendium of information on the state of the river basin and a critical evaluation of the programs, institutions and other efforts that have been directed towards rejuvenating the Ganga. The main question being asked is, despite the decades that have passed since these efforts were started and the several hundred crores that have since been spent, why is the state of the Ganga worse than it ever was, and what must be done to rectify the situation?